CHICAGO (WLS) -- If you are traveling in Chicago Saturday, you might want to leave a little earlier than usual. Bridge lifts on Lake Shore Drive to the Ashland Avenue Bridge begin Saturday morning. This allows boaters to move from Lake Michigan to winter storage. While the bridge is up, traffic will be at a standstill. Each lift takes up to 12 minutes. 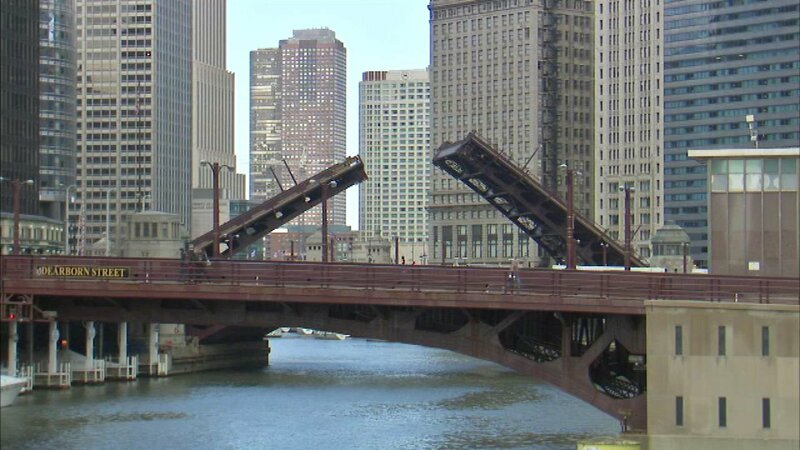 The streets affected by the bridge lifts are: Lake Shore Drive, Columbus Dr., Michigan Ave., Wabash Ave., State St., Dearborn St., Clark St., La Salle St., Wells St., Franklin St., Lake St., Randolph St., Washington St., Madison St., Monroe St., Adams St., Jackson Blvd., Van Buren St., Congress Pkwy., Harrison St., Roosevelt Rd., 18th St., Canal St., Cermak Ave., Halsted St., Loomis Ave., and Ashland Ave.
Saturday, Sept. 17 at 9 a.m.
Wednesday, Sept. 21 at 9:30 a.m.
Saturday, Sept. 24 at 9 a.m.
Wednesday, Sept. 28 at 9:30 a.m.
Wednesday, Oct. 5 at 9:30 a.m.
Saturday, Oct. 8 at 9 a.m.
Wednesday, Oct. 12 at 9:30 a.m.
Saturday, Oct. 15 at 9 a.m.
Wednesday, Oct. 19 at 9:30 a.m.
Saturday, Oct. 22 at 9 a.m.
Wednesday, Oct. 26 at 9:30 a.m.
Saturday, Oct. 29 at 9 a.m.
Wednesday, Nov. 2 at 9:30 a.m.
Saturday, Nov. 5 at 9 a.m.
Saturday, Nov. 12 at 9 a.m.